The Sign Group has over 20 years experience in all aspects of Sign Manufacture. 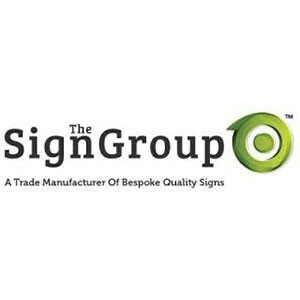 The company has invested, trained and maintained all areas of the business, allowing The Sign Group to offer an unrivalled level of quality and service. With an envious portfolio of retail clients, The Sign Group are also suppliers to over 2000 sign & display companies within the U.K. With the expertise and knowledge The Sign Group has, specifically with Signs and the Sign Trade, coupled with state-of-the art printers, cnc machines, metalwork and design, we offer an all round service where our versatility, speed and quality are hard to beat. We are unique in the way we quote for trade. Customers can pick and choose which service they would like to take adavantage of. We can supply jobs partially built where our customer wants to keep costs down by applying the finishing touches themselves. This allows our Trade Clients to handle more jobs without compromising quality or turn round. Please get in touch if you feel we can be of any use to your business.